New players to WLN are asked to fill out our "Prospect Player" form. On Saturday Jan 26, the Lakeland HS and WLN Varsity hockey teams played a fundraiser benefit game for the Rainbow Connection Charity in Oakland County. 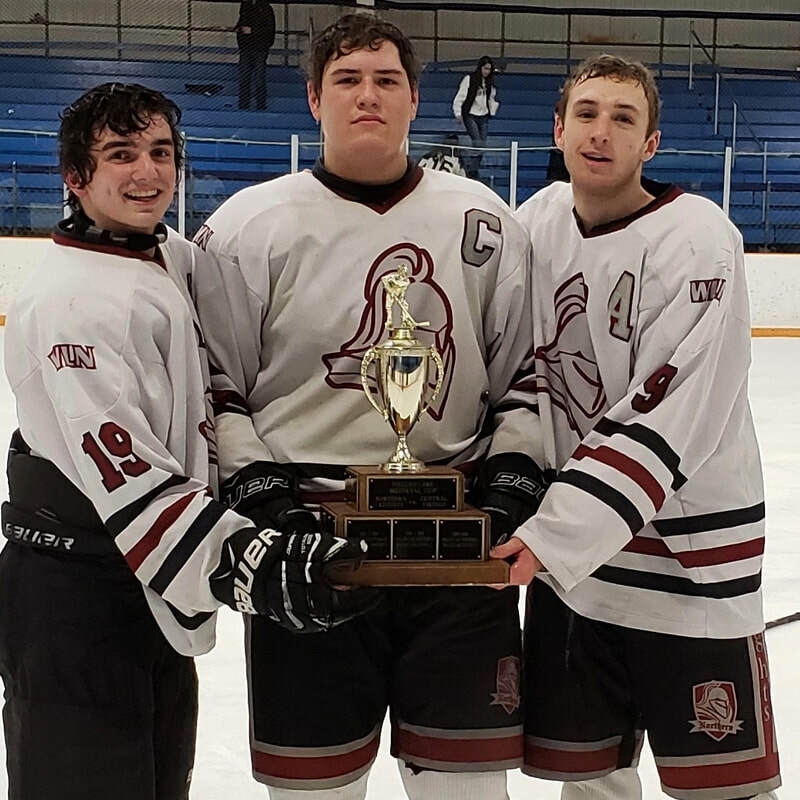 Through the efforts of many parents, volunteers [from both teams], WLN Alumni players, and members of the community, the event raised over $16,600 for the charity. The players, coaches, and booster team members, from both schools, want to say THANK YOU to all of you who came out that night and who have supported this benefit game the last 5 years. An OUTSTANDING showing of what can happen when a group of people come together for a very worthy cause. On Saturday Feb 9, The Knights beat their crosstown rivals WLC/Waterford United to retain possession of the Medieval Cup. After falling behind 2-0 in the first period, the Knights stormed back with 4 goals in the1st & 2nd period and won the game 4-2. It was a great game and both teams played well. Congratulations on hanging on to that cup boys!!! On Wednesday Jan 9, the team beat Lakeland HS in an overtime thriller 3-2 to win the Bogie Lake Cup!!! Congratulations boys on a great team effort!! !